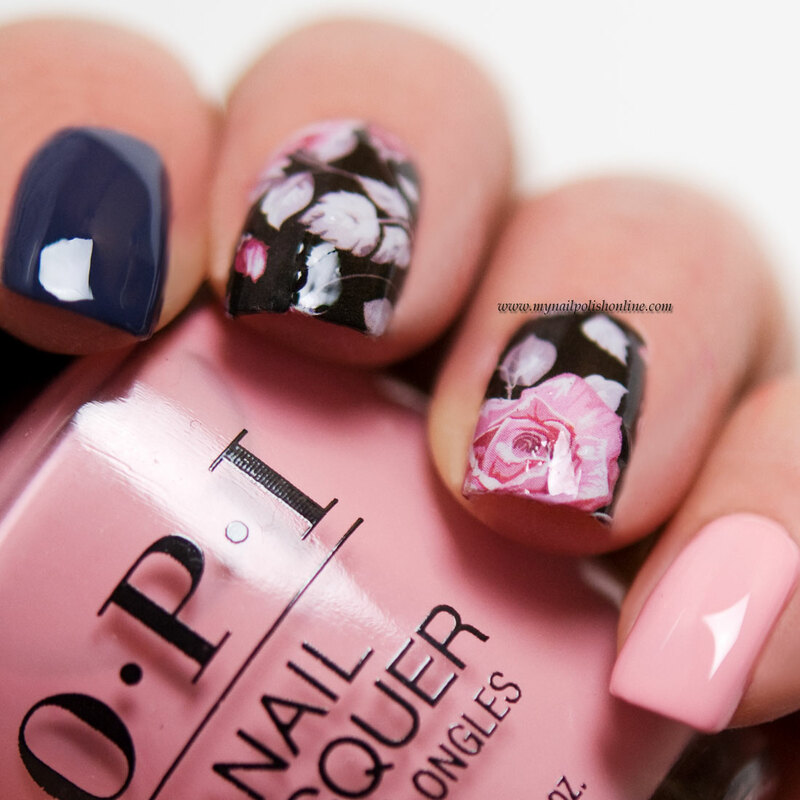 For me, floral nail arts are a part of spring, but that also depends on the colors used for the nail art. When we got in these nail wraps at Saijtam.se I was totally thinking winter nails, because of the black background of the floral wraps. I paired these nail wraps with the pink from OPI called Tagus in that Selfie on the pinkie and a dark gray, also coming from OPI named Less is Norse. In person, the dark gray looked like a great match. Looking at the pics taken of the manicure, I think a black polish would have been a better match for the wraps. I still like the outcome though. 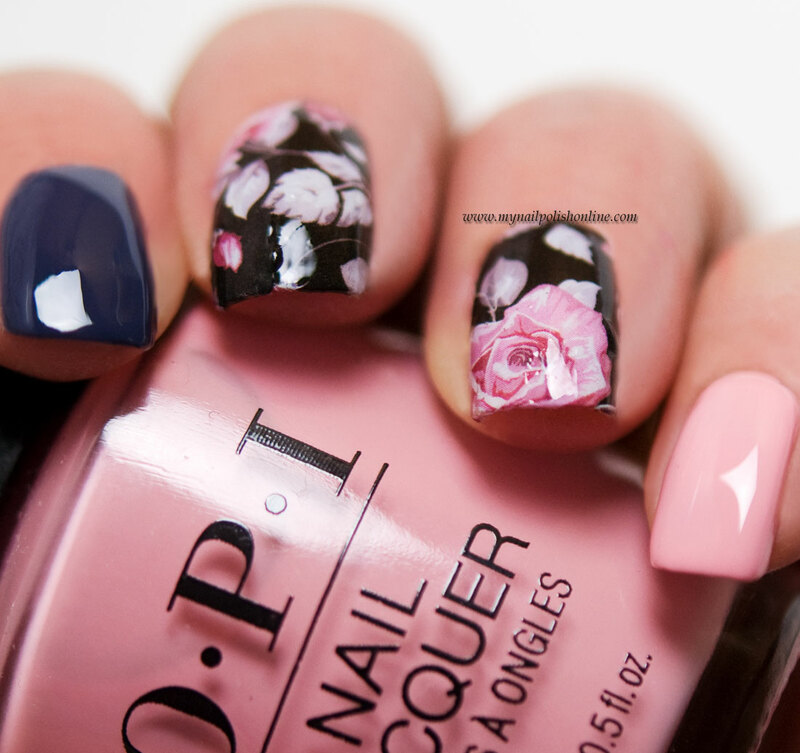 Maybe this is a good transition to spring, when you can combine the light pink with the darker shades. What do you think? How do you like this combination? Jättefin kombination tycker jag! Du är alltid så bra på det där med att kombinera olika lack!